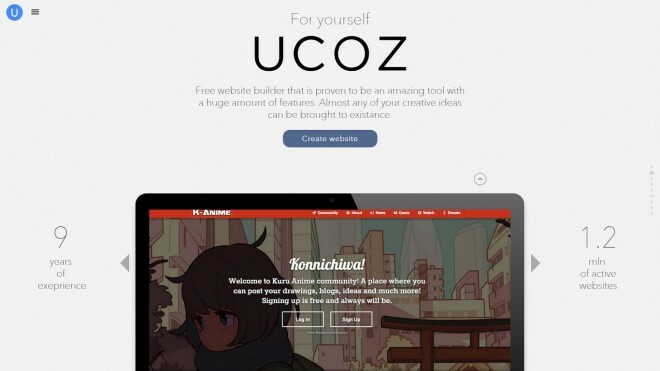 uCoz is a handy user-friendly website builder for everyone who wishes to create fully functional and unique website. The service is provided in 16 languages and thanks to its enthusiastic creative team it’s constantly developed and improved according to users’ needs. With uCoz service you can create personal homepages, corporate websites, blogs and communities, online stores and fan sites, portals, educational or government websites and much more. uCoz was founded in 2005 and now it has over one million active websites and 150 millions website views per day. Currently this SaaS platform is widely recognized and awarded. It’s Open Web Awards 2009 winner in the nomination Best Site for Publishers, Content Management Awards Winner 2009; Web Host Directory awarded it in the nomination best for Ecommerce etc. uCoz was created as a system for newbies and professionals so it has functions for both. You can easily create your first website using a visual editor and a block builder. WYSIWYG online editor is the best for beginners and allows creating website pages without specific knowledge. There are the template editor, API, PHP functional and much more for professionals. The core principles of web development such as functionality, usability, flexibility, simplicity, protection against spam and unwanted visitors are implemented in the system. In terms of designs the platform offers 3 options. You can choose among predefined designs (over 250 templates), manual design modification with Template Builder and Premium templates from their official Template Store. When creating a website you get a free domain name and if you already have your own domain name you can attach it for free. Possibility to extend the website functionality with the help of PHP, third-party database servers like MySQL, and API is one more essential advantage of this website building tool. Another thing worth mentioning is a professional support you get on uCoz through direct emails or Community Forum. – Ads in free version. uCoz is an exceptional tool for everyone who wishes to create a personal homepage, hobby forum or blog. Business enterprises can also use it to advertize their goods and services, present information about themselves or create an online store. 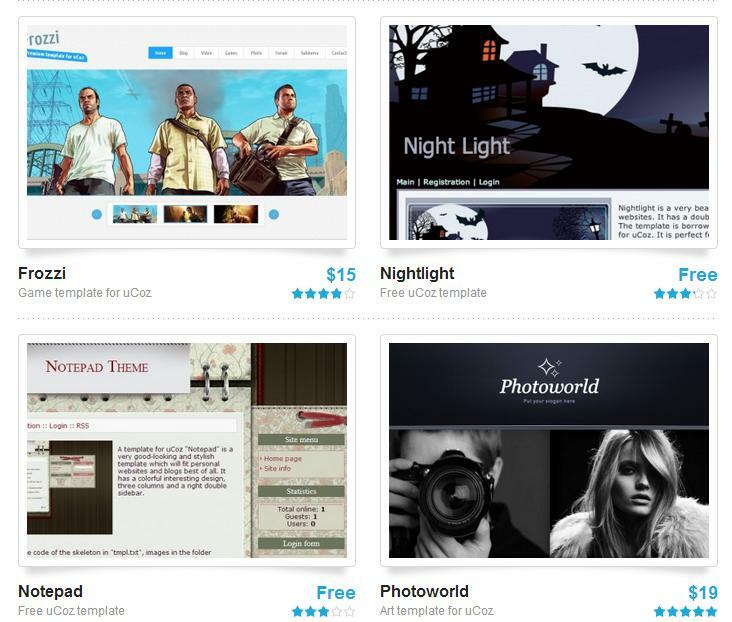 uCoz offers the users a free version and 5 paid packages. The prices for paid versions are 3.09$, 5.49$, 6.49$, 8.99$ and 10.99$. Pricing vary depending on the disk space, PHP, availability of different modules (like E-shop) and ads placement. Free version offers rather many options and is a great solution for personal homepages or information portals. Probably the biggest disadvantage of this package is advertisement that can be rather annoying. There is an exception for non-profit websites like charity organizations and so on; they can use a free version without advertisement.